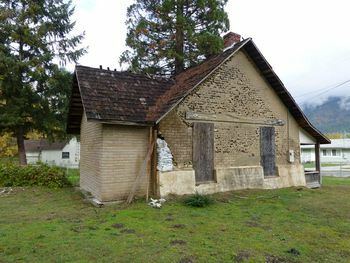 Fort Gaston (1858-1892) - A U.S. Army Fort established in 1858 during the California Gold Rush by Captain Edmund Underwood, 4th U.S. Infantry, near present day Hoopa in Humboldt County, California. Named for 2nd Lt. William Gaston (Cullum 1737), 1st U.S. Dragoons, who was killed 17 May 1858 in combat with hostile Spokane Indians. Renamed Camp Gaston on 1 Jan 1867 and renamed again as Fort Gaston on 5 Apr 1867. Abandoned in 1892 and turned over to the Department of the Interior. 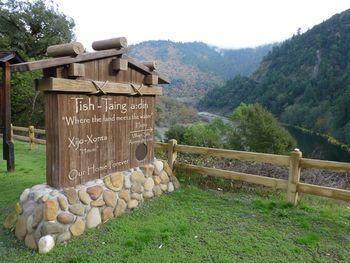 Fort Gaston was established in December 1858 during the California Gold Rush on 452 acres in the middle of the Hoopa Indian Reservation along the Trinity River in the Hoopa Valley. Conflicts between the Indians and the miners and settlers caused the Army to establish the post to keep the peace. Fort Gaston was built out as a two company open plan infantry post. The post buildings were arranged around a 600-foot square parade with four barracks buildings and seven buildings for officer quarters. Support buildings included a guard house, a hospital, four buildings housing stables and granaries. A combination theater and library building also served as a quartermaster storeroom. The post was isolated inland from the northern California coast in a mountain valley, Fort Humboldt was 53 miles away. Communication with the outside world was by a mule trail through the mountains which could be blocked by heavy snows during the winter. It normally took five or ten days to get a letter to San Francisco and the mail arrived twice a week. At the beginning of the U.S. Civil War regular troops were recalled back to the east coast and California Volunteer troops replaced them. At Fort Gaston elements of the 2nd California Volunteer Infantry garrisoned the post between 1861 and 1863. The 1st Battalion California Volunteer Mountaineers relieved the 2nd California Volunteer Infantry in 1863 and remained until 1864 when they were relieved by elements of the 4th California Volunteer Infantry. A peace was signed with the Hoopa Indians on 12 Aug 1864. Regular troops returned after the end of the war. Over the years the garrison was reduced and the post was finally abandoned 29 Jun 1892 and turned over to the Department of the Interior on 11 Feb 1892. At least one period building remains, an adobe brick officer quarters. 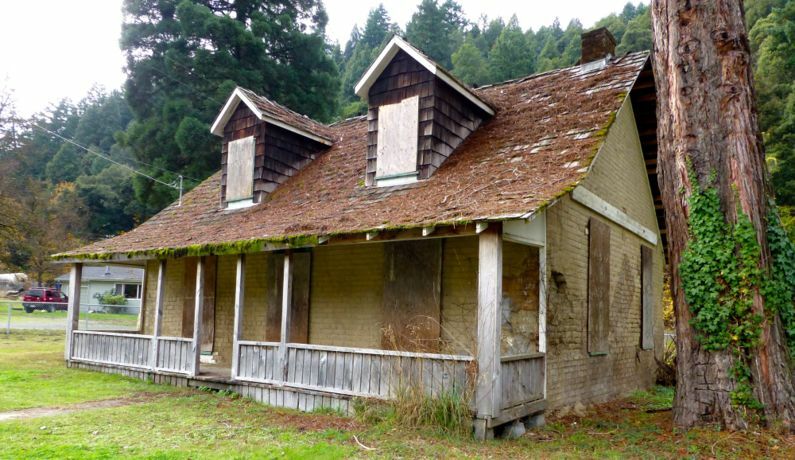 Most of the post reservation is now occupied by private interests including the Hoopa High School, tribal buildings and the community college, College of the Redwoods. A museum is located in the Big Bear Casino downtown and it has a few relics from the old fort, including a photograph of the old commanding officer's quarters. In Hoopa, Humboldt County, California. Location: Hoopa, Humboldt County, California. Map point is the commanding officer's quarters location. This page has been accessed 6,549 times. This page was last modified 10:06, 17 March 2019 by Bill Thayer. Based on work by John Stanton.